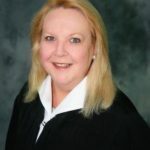 TALLAHASSEE- The Florida Supreme Court unanimously approved the Findings and Recommendation of the Judicial Qualifications Commission Hearing Panel which conducted a full evidentiary hearing and recommended that Judge Shepard be found guilty of violating the Code of Judicial Conduct, and suspended without pay for 90 days, and be publicly reprimanded. Judge Shepard will also have to pay the costs of the inquiry. The charges in this case stem from Judge Shepard’s 2014 judicial campaign during which she published a campaign flyer that contained an endorsement from the Orlando Sentinel newspaper. However, the Orlando Sentinel had endorsed Ms. Shepard’s opponent, and the endorsement published by Ms. Shepard’s judicial campaign was from an endorsement given to her by the newspaper in 1994, when she was seeking reelection to the state legislature. Judge Shepard appealed her case to the Supreme Court of the United States, which declined to review it. The Florida Supreme Court’s opinion can be found here. Photo credit: 9th Judicial Circuit.